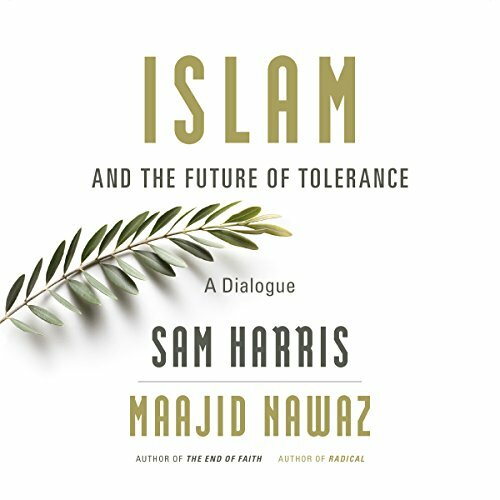 In this short book, Sam Harris and Maajid Nawaz invite you to join an urgently needed conversation: Is Islam a religion of peace or war? Is it amenable to reform? Why do so many Muslims seem drawn to extremism? What do words like Islamism, jihadism, and fundamentalism mean in today's world? 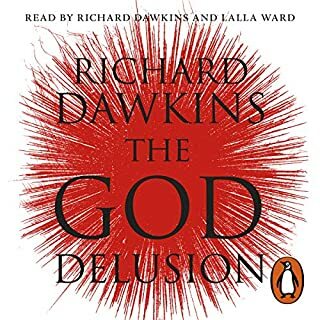 Remarkable for the breadth and depth of its analysis, this dialogue between a famous atheist and a former radical is all the more startling for its decorum. Harris and Nawaz have produced something genuinely new: they engage one of the most polarizing issues of our time - fearlessly and fully - and actually make progress. Islam and the Future of Tolerance has been published with the explicit goal of inspiring a wider public discussion by way of example. In a world riven by misunderstanding and violence, Harris and Nawaz demonstrate how two people with very different views can find common ground. Thank you for this thought provoking and mind opening dialogue. Maajid & Sam are refreshingly intelligent, well spoken men who together are leading the way forward in our troubled times. I look forward to them collaborating again in the future. What a fabulously revealing conversation! 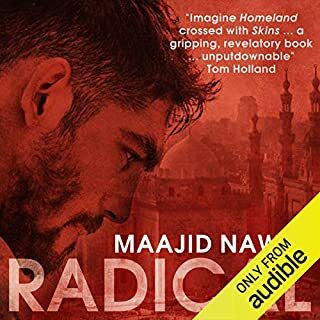 Like Sam, I can honestly say I have had my views changed by this book - mostly by Majid's contribution (I was already familiar with Sam's views). The thing I appreciate most about both authors is their respect and unrelenting search for facts or, where facts are less relevant (pluralism in interpreting scripture, for example) for the most plausible and helpful answers or conclusions. They both always play the ball not the player. Never will they obscure an argument by running down an opponent, although neither shy away from sharing facts about their opponents that do the work for them! I love it!! 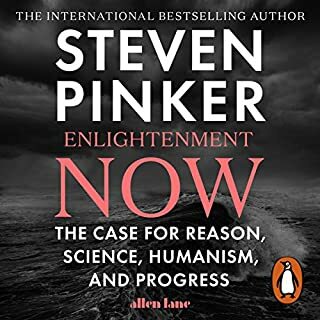 The book is an excellent example of how 2 reasonable people with differing views can come together to have a rational and informed discussion around a topic with such far reaching consequences for civilisation. One of the first of many I hope. The book itself is rather short but the informal post dialogue was a treat and made up for the book's length. I've found myself very frustrated lately with one side's refusal to engage in any meaningful way with difficult questions and the other's refusal to show any empathy and this conversation does both. It's upfront and challenging but always respectful and seemingly quite thorough. 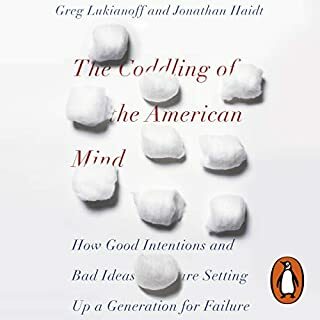 I think this is very useful reading for anyone wanting a better understanding of the topics, and for people expressing their opinions publicly backed only by assumptions and snippets of information from news headlines. It explains common terms that we hear all the time and many that I, for one, had never heard of but now see as forming the basis of important distinctions between beliefs. Check it out. It's short and very well written. This is one of the most important discussions being had at this time. Striving to find a peaceful outcome in this vastly complex situation is an admirable goal, and one that Sam and Maajid have tackled head on. These guys are really showing the way to have an actual discussion about this issue. Thought provoking and brilliant. A great conversation between Sam and Maajid that really outlines the problems with Islamism and how both Muslims and non-muslims can come together to face this threat. Would you listen to Islam and the Future of Tolerance again? Why? Definitely worth multiple listens. An important discussion on contemporary islam, the challenges faced by individuals seeking to institute change, and a fascinating attempt to better understand those most resistant. There is a free-form discussion at the end which is not well advertised, but provides further insight not to be found anywhere else. 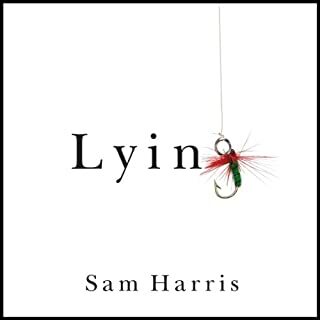 Have you listened to any of Sam Harris and Maajid Nawaz ’s other performances? How does this one compare? Yes. This is fantastic performance by both individuals. The fact this is performed by the authors is critical to the purpose of this book. While it can sound sometimes stilted, this is more than made up for by the honesty that can be felt when listing to the conversation unfold. 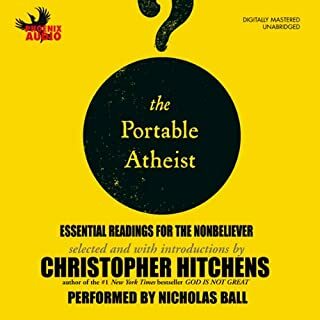 The free-form discussion at the end of the audio book is also a must-hear. A very good topic presented well by excellent intellectuals. However the book is rather short and does not explore the various topics to the detail expected for such a title. 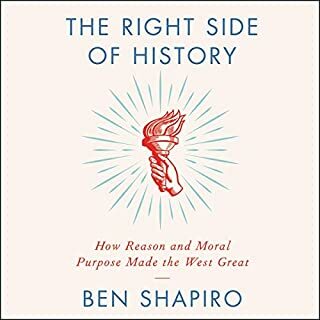 Good listen but not worth the coin. Incredibly insightful on a topic our civilization needs to have by two very brave men. Great work Maajid & Sam! 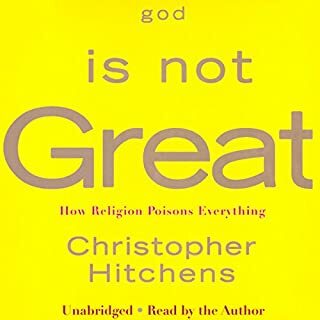 As the late Christopher Hitchens expertly said about arguments between two matched "opponents", it is very seldom that the position of both will remain exactly the same, changes and concessions will occur and the debate will advance. Even if only a little at a time. 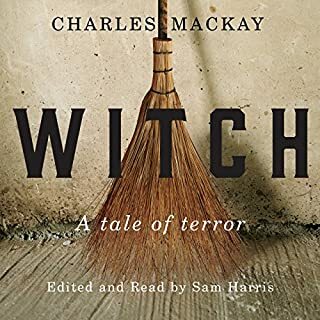 In this book you can see Sam and Maajid views growing better and more refined about the topics of Islam, islamism, secularism, the muslim society, radicalization and tolerance. 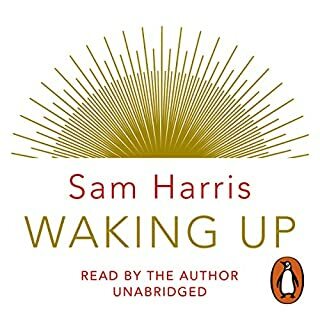 I'd already read all of Sam's books, so Maajid was the greatest surprise for me and greatly enriched my views about radicalization (and the different levels it can happen) and islamic culture in general (specially the many possible interpretations of the Quran, the Hadith and other texts). I'll be sure to read his book "Radical: My Journey out of Islamist Extremism" as soon as possible. 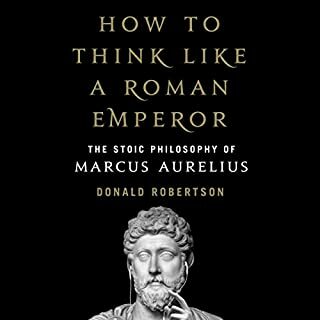 This book is a must read for everyone who wants to honestly discuss the topics abovementioned and I highly recommend it. Both authors speak beautifully, leaving space for many thoughts about their probing ideas. 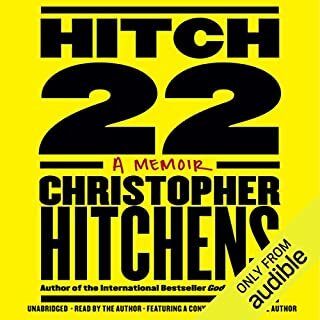 Voice performance matters in an audiobook, and the even, calm of the authors' voices eased my way into challenging material. Since my background knowledge of Islam is limited, I had to really think about each concept presented. I am inspired to listen again to the book, and read the materials mentioned in the verbal bibliography. What did you love best about Islam and the Future of Tolerance? 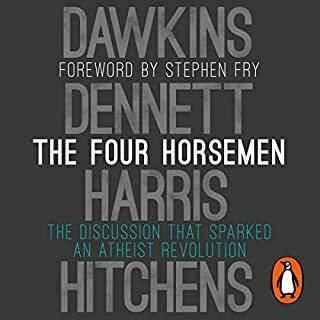 The authors discuss provocative issues without derailing the conversation, as is often the case when discussing religion. The book clarifies the issue of Islamism to "liberals" of all stripes - liberal in this context being proponents of free expression, freedom from religion, advancement of equal rights, etc. - frankly, the values that allow for pluralistic societies. After all, we should be able to criticize ideas which limit our liberal values, right? They do it. A liberal Muslim and liberal atheist discuss controversial topics and make headway. They base this discussion on their common ground as liberals. In the supplemental Q&A, they have clearly formed a friendship through the process. Listening in on their conversation is very helpful in having conversations of our own. What about Sam Harris and Maajid Nawaz ’s performance did you like? Maajid educated me regarding the nuances of Islamists vs. Muslims, and in interpreting the texts. Sam, as always, honestly asks pointed questions with the aim of understanding. This conversation is pragmatic about finding common ground forward, therefore they avoid discussing the validity of the religion or their personal views on the truth of it. This was an honest conversation, and I trusted it. If you could give Islam and the Future of Tolerance a new subtitle, what would it be? An actually productive conversation. Go figure. I recommend this book because it is an intellectually honest conversation that presents carefully considered issues in Islam from two very different perspectives which, in my opinion, is the reason this book succeeds. It is also important that this book paves the way for other people to engage in similar honest discussions because we cannot stick our heads in the sand and ignore issues. The authors represent themselves. I think Maajid Nawaz had a more central role in this discussion and made a compelling case as to how one can maneuver carefully and try to reform Islam in a way that will lead to secularism and human rights. 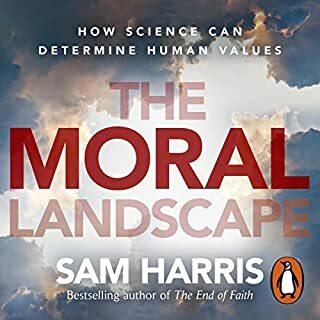 On the other hand, Sam Harris was skeptical and made excellent points as to why some core issues of the faith may never be subject to a solution. Which character – as performed by Sam Harris and Maajid Nawaz – was your favorite? 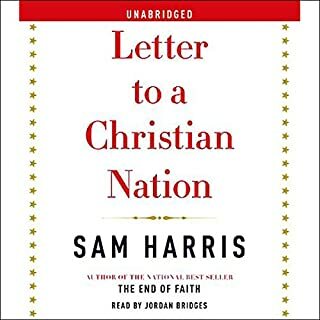 Sam Harris was very effective in showcasing the problem in western societies like the USA where a large group of politically correct groups of people are trying to control criticism of various ideas including Islam because it may offend or they think religion has nothing to do with the problems in Muslim majority countries. This is also a vital message of the book in my opinion. Not really, but that was not the point. The problem demands that we cast aside emotions and arm ourselves with a rational and critical approach. There's a lot of food for thought in this interesting dialogue about one of the most pressing matters of our age. Arguments between the authors are laid out in clarity, directness, and civilized manner - a true delight. They're looking at reality with open eyes, sense of urgency, and concerns yet offering actions which could help the liberal civilization to remain on course. Narration: great performances of both the authors. They are used to this kind of thing and speak of subjects they care and know a lot about, which shines through. It sounds more like a letter correspondence than a live podcast, which results in a few, not so smooth transitions between the two. But it is no way a problem and also insures they don't speak over each other. A great dialog between two people I've been following prior to this book. It is very instructive in setting a standard for these kind of debates between religious and non religious people. Makes some very important distinctions between the kind of Muslims in the world, and in separating the idea of Islamism as an ideology, from the religion of Islam and the majority of Muslims. It is not a philosophical debate about the nature of God in Islam and the plausibility of such a God's existence. Both Mr. Harris and Mr. Nawab are tremendous spokespersons for their particular world views. Their ideas are rational and reveal a power and resourcefulness that are at times are both disturbing and provocative. When I listened to them what I heard was a deep familiarity with the Koran and the Hadith from Mr. Nawaz and an all business pragmatism from Mr. Harris. What this is is a conversation between an ex-jihadist and an unapologetic and proud atheist. That's interesting enough to listen to. But, the chances of what Mr. Nawaz proposes are slim to none. Look, I'm an idealist too! But, a billion and a third Muslims who would need to take it on themselves to literally change the way scripture is interpreted. They would have to reform. Intractable. Sorry. The new standard for discussing Islamic issues. This is the kind of book where I wish to listen to over and over again just to ingrain everything said in it into my mind. As a muslim struggling with other muslims, this book was the thing that set my mind free from a lot of weights that I felt on my shoulder. It tackled topics that have been eating my mind for so long in a way that pushed these thoughts towards progress for the first time in recent Islam history. I have to thank both sam and maajid for these results. Maajid for giving muslims the exact mentality that we should take for tolerance, and Sam for asking exactly the right questions that needed to be asked to push the conversation forward. This ability of Sam to know exactly what to ask and to take every topic to its logical end astonishes me every time I listen to him. 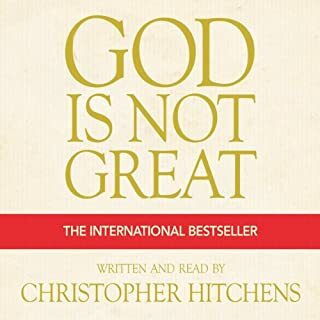 This should be the book that starts the new standard of discussing Islam. no beating around the bushes. Islam either can or cannot exist with modern society, and we need to push the conversation to find out. other than that, the performance of both was amazing. It started with them sounding like they were reading from a book rather than talking, but slowly turned into a natural conversation. The additional conversation at the end after the book was published was also very humanizing. Would you consider the audio edition of Islam and the Future of Tolerance to be better than the print version? It is superior to the print version because nothing beats audio in following a debate of very fine points between two thoughtful speakers. I liked that Majid Nawaz' syntheses of his experience and knowledge of radical Islam. I admired both Nawaz and Harris's approach in discussing their disagreements. Hands down Majid Nawaz. Harris is as eloquent as ever, but he seemed a bit dismissive of some of Nawaz's counter-arguments. His early breakdown of kinds of Islamists, jihadist and conservatives is excellent. It laid a strong foundation of the subsequent discussion. 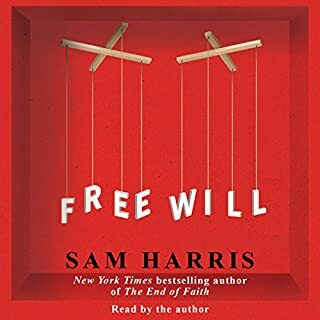 Sam Harris' s follow-up questions also helped clarify the discourse immensely. I grew up in the Middle East; followed debates on political Islam closely; but this is a little better; a "cut-above" if you will. It is also far more thoughtful than the debates where the religiously-afflicted waste Sam Harris's time on non-issues. I am an atheist Arab American who chose to keep quiet on these issues for a long time. It inspired me to actively participate in the conversation. How? I do not know yet. I wish both thinkers adopt the same style of discourse in many more works to come, even if it means no "sound bites" for the media. So pleased to have learnt about Maajid through Sam Harris. A true leading light with a humanitarian and reasoned voice we can all listen to - believers and non-believers alike. 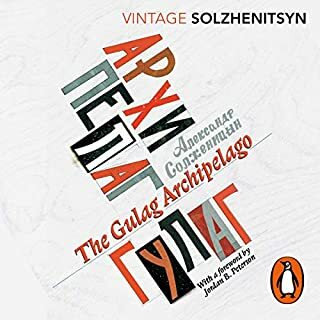 It has helped me to understand a topic that I too once felt the need to obsfucate out of liberal tendency. This is a very important book and I look forward to following the continuing dialogue. Bold conversation, one that is much needed. Educational, inspiring and shining a light on a way forward. surely one of the most important conversations of our time. read it and encourage others to do so. Constructive debate in the quest for Human rights values, a must for anyone who wants to educate themselves on this very prevalent topic. This book shows the importance of dialogue and how vital it is to have a rich vocabulary around these ideas is. The conflict between pre-modern, modern, and post-modern perspectives is probably the biggest issue we currently face. The book has done what it set out to do in my opinion. And having the extra part at the end only for the audio book listeners was very welcome. this book cleared up a lot of things for me around Islam, terms used in the media and increased my overall general knowledge on people who are Muslim. This conversation is engaging due to the fact that these are the really dodgy questions no one wants to ask but the questions are put in an intellectual manner and responded to similarly. I agree with the goals of this book and think they have Greta Value. Clear thoughts and balanced assessments of one of the biggest challenges that the world faces. This conversation is perfect antidote to the frustrating and usually baffling noise that constitutes the majority of public discourse about Islam, particularly online. The primary point of the book is the not even the material but the manner of conversation. It's a refreshing example of how to explore issues constructively without descending into defensiveness and ideological sleight of hand. A really interesting dialogue between two polar opposites. Quite a few difficult stand points addressed and explained.